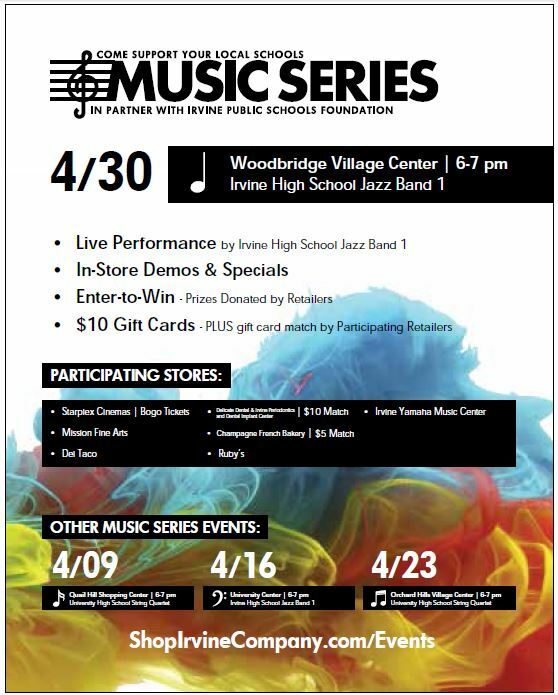 Come listen to a free jazz concert and support Irvine’s Woodbridge Village Center this Thursday, April 30! The Irvine Public Schools Foundation and The Irvine Company are sponsoring a jazz band performance by Irvine High School from 6:00-7:00 pm. There will also be in-store specials and drawings. Enjoy a meal with family and friends in the beautiful outdoor courtyard while listening to the musical talents of Irvine High School’s Jazz Band. There is also a contest drawing and discounts from participating Woodbridge Village Center merchants. Now, forty successful years later, Woodbridge Village Center remains an integral part of Irvine, connected to both lakes, Woodbridge high school and walking trails, literally in the center of Irvine. Please join your neighbors this Thursday, April 30, to support your Woodbridge Village Center and local businesses! 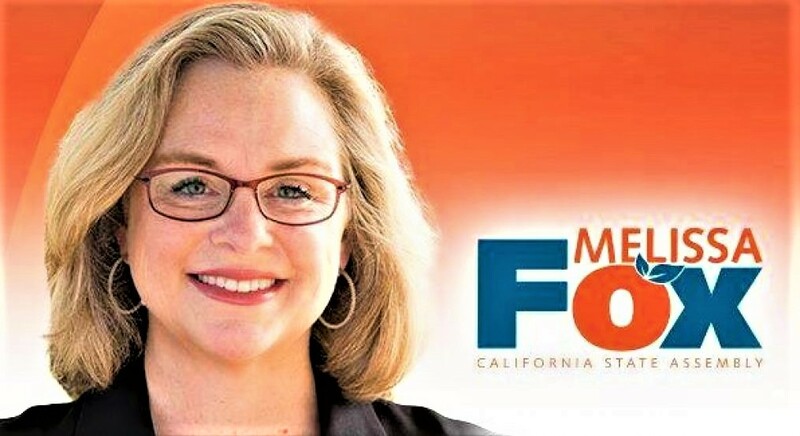 This entry was posted in Uncategorized and tagged City of Irvine, Commissioner Melissa Fox, Community Services Commissioner Melissa Fox, Friends of Woodbridge Village Center, Friends of WVC, Irvine, Irvine bicycle, Irvine business, Irvine Commissioner Melissa Fox, Irvine Company, Irvine Company Woodbridge, irvine company woodbridge village center, Irvine development, Irvine High School, Irvine High School Jazz band, Irvine Master Plan, Irvine Music Series, Irvine Music Series 2015, Irvine Public Schools Foundation, Irvine quality of life, Irvine schools, Melissa Fox, Melissa Fox attorney, melissafoxlaw.com, melissajoifox, Pedego Irvine, The Irvine Company, Woodbridge, Woodbridge apartments, Woodbridge bike trails, Woodbridge development, Woodbridge homeowners, Woodbridge Irvine, Woodbridge Irvine apartments, Woodbridge Irvine bikes, Woodbridge Irvine Center, Woodbridge Irvine Company, Woodbridge Irvine development, Woodbridge Irvine homes, Woodbridge Irvine houses, Woodbridge Irvine housing, Woodbridge Irvine plan, Woodbridge Irvine real estate, Woodbridge Irvine schools, Woodbridge Irvine theater, Woodbridge movies, Woodbridge office buildings, Woodbridge Pedego Bikes, Woodbridge residents, Woodbridge theater, Woodbridge Village Association, Woodbridge Village Center, Woodbridge Village Center Irvine Company, Woodbridge Village Irvine. Bookmark the permalink.